As we get ready for the Holidays lets all take a moment to count our blessings. There are over 13 million children in our country who live in “food insecure” homes, meaning they regularly don’t have enough food to eat day to day.⁣Everyone deserves to experience a great meal with their loved ones no matter what the circumstances might be. 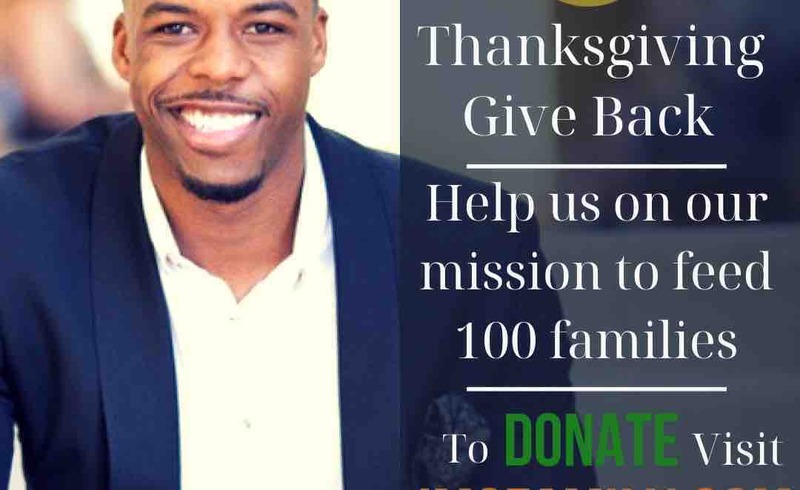 So, join the IMC crew and myself this thanksgiving as we feed 100 families for the holidays.Help use raise our goal by donating what you can. We are raising the funds to ensure that each family can enjoy a full thanksgiving experience. So, every dollar counts. For each dollar donated, I've took it upon myself to match all proceeds towards the cause.